When you make both arts and crafts, it can be difficult to find the perfect venue to sell. I got lucky this past weekend. 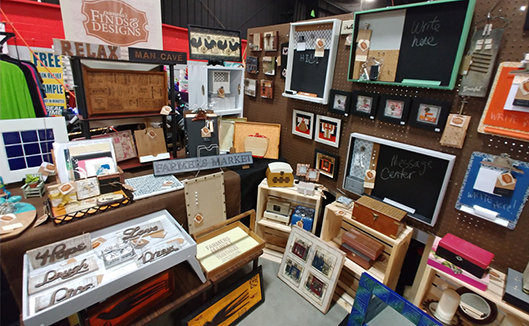 I set up a booth at the Cabin Fever Art, Craft & Marketplace Show held in Maumee, Ohio. This show put on by Cloud Productions brought out the perfect variety of customers and lots of them. Having a wide range of items for sale worked really well for their huge and very diverse audience. Can’t wait until next year. I have to go make things now . 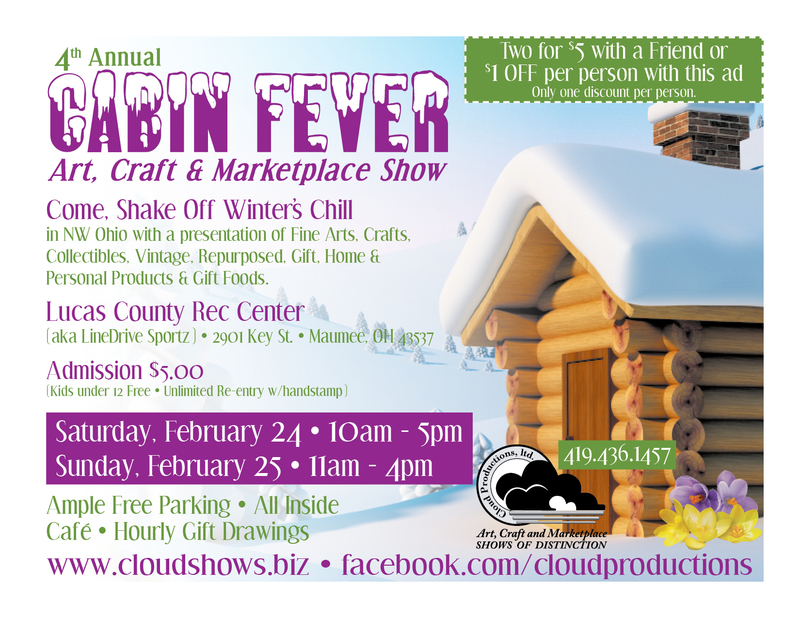 . .
Find me at the 4th Annual Cabin Fever Art, Craft & Marketplace Show this weekend, February 24-25, 2019! Come out and find something new for your home!